Tracks, a novel in stories, is set on a train traveling from Baltimore to Chicago. Each story is told from the perspective of a passenger on the train. They are the strangers we meet every day: a soldier, a salesman, a former mobster, a Holocaust survivor, couples in love, a woman who has lost her parents, a poet, a hit man. These and other characters fill the train with emotion and complexity. 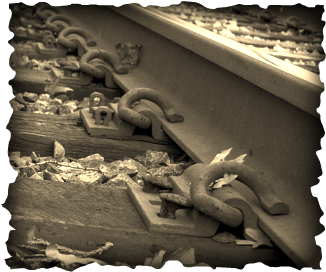 The stories in Tracks stand alone, but they become stronger when linked together. A secondary character in one story becomes the main character in the next. From the nefarious goings-on in a Fells Point row house to prestigious partying on Federal Hill, Goodman's Baltimore is immediately recognizable and real. Come aboard for an exciting literary ride. 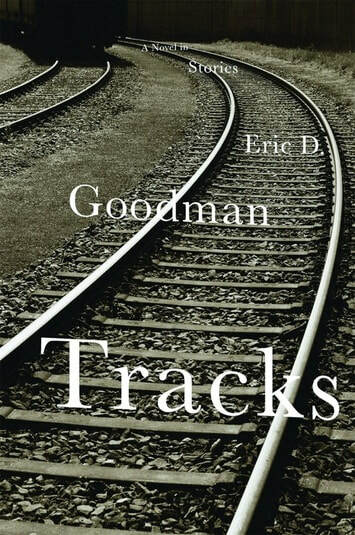 "Tracks is a most cunningly crafted tale—a perfect read for trains, planes and automobiles... or even for your armchair." "... an absolute delight. The beautifully-written stories of strangers riding the same train will hypnotically pull you in and captivate you to the very end." "Tracks is a voyeuristic fantasy fulfilled." "Sincere and empathetic, Goodman delivers. These intertwined stories are melodious and brim with soulful compassion." "Goodman manages to capture the complicated push and pull of family, of friends, of history, of life—how it bears down on each of us, pulling us apart while simultaneously pushing us together. Tracks is a wonderful debut." "Goodman limns the lives of his characters—all travelers on the same train—with a light and sensitive touch, yet he manages to delve deep, right to their very hearts. By turns comic and poignant, these pilgrims are united in one significant way: they all seek to make sense of life’s unpredictable journey." "Tracks is an unforgettable journey that cuts deep furrows in both the inner and the outer landscape." See what others are saying about Tracks.